This will not be your usual artist tribute album that includes covers of original songs of the artist being paid tribute to. 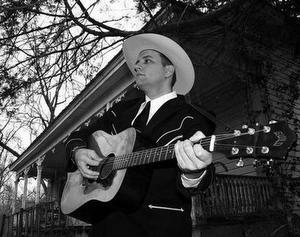 Instead the project with the working title of Midnight: The Death of Hank Williams will focus more on songs that touch on Hank’s final days and death, and on the other people that surround the Hank Williams death narrative, including Braxton Schuffert, one of Hank’s very first musical mentors, and Charles Carr, the driver for Hank Williams on his famous last ride, and the last person to see Hank Williams alive. Both men passed away earlier this year. Bobby Tomberlin and Arty Hill’s contributions to the project are tribute songs to Charles Carr for example. Braxton Schuffert’s “Rockin’ Chair Daddy” will also be on the album, as well as “Midnight,” which was the last song ever sung by Hank. As Joey Allcorn explains, the death of Charles Carr, and the very first tribute song ever written to Hank Williams is what inspired the project. 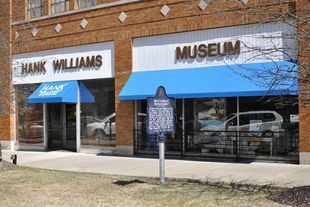 “I stopped by the museum after Charles Carr had died, and they had the lyrics in there to an old song by Jack Cardwell called ‘The Death of Hank Williams.’ “ Allcorn explains. “This is a song that is available now on iTunes, but before iTunes, you couldn’t find this song anywhere. To me it was an interesting song because it was the very first Hank Williams tribute. Nowadays, doing a Hank Williams tribute is just sort of par for the course. This particular song that we’re centering the project around, it just captures a very basic feeling that happens after some sort of tragic event. The lyrics that are on display [in the museum] tell a similar story, because it was a woman in Montgomery who heard the words on the radio as a child, and they meant so much to her that she wrote them down. If you go to the Hank museum, they’re still sitting there by Hank’s Cadillac. It’s the handwritten lyrics of this little girl wrote after hearing this song, and when she was upset or sad. Joey Allcorn goes on to explain that this benefit album is being released at the nexus of some very important Hank anniversaries. Joey Allcorn has launched a $4,000 indiegogo campaign to help pay for the costs of the tribute album, with the incentives coming from the Hank Williams Museum that the album is going to benefit. UPDATE: (9/17/13): The Hank Williams Commemorative Album was successfully funded through Indiegogo, raising $5,370 of a $4,000 goal. Today, on the 90th anniversary of the birth of Hank Williams, Joey Allcorn has released the “Death of Hank Williams” song. This is awesome. If you have never visited the museum then you should do so immediately. Their collection is amazing. I agree with Joey on Kickstarter-type projects. This is an example of the way it SHOULD be utilized. This is some awesome news!Rachel Brooke on a Hank WIlliams tribute too. Why isnt there more comments on this. As long as I can come up with some spare change I’ll definitely be supporting this one. When I first heard Joey Allcorn, I thought he had really found a great new direction that combined the best of old school Hank Sr. with harder rock and country elements. However, I have been disappointed in most of his releases. My family just visited the museum a few weeks ago. It was great! I learned that Hank has a daughter, Jett. My daughters are 16 & 9 and also enjoyed the museum. The 16-year-old is a musician (piano & guitar mainly) and listens to so many different kinds of music. My 9-year-old recently heard Long Gone Lonesome Blues and loved it and really liked the museum. She also likes Kasey Chambers. They both grew up listening to whatever is on my and their dad’s ipods, which includes Hank & a lot of other classic country – music that my parents listened to. Not Nashville machine country. My office is four blocks from the Museum. It’s a wonderful place, along with Hank’s and Audrey’s gravesite in Oakwood cemetery.